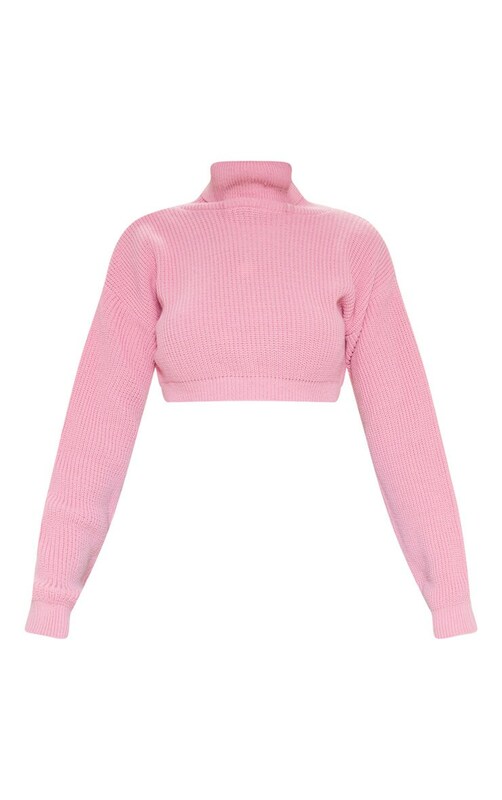 Add a dash of pink to your look with this cropped jumper. 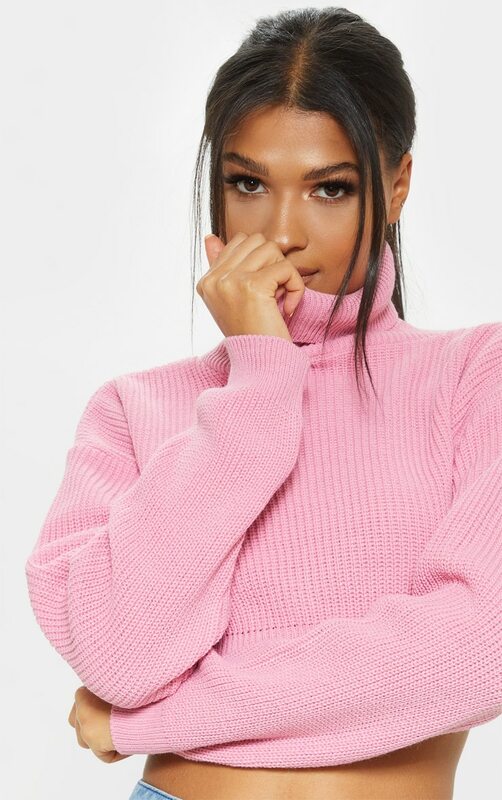 Featuring a pink knitted material with a high neck, long sleeves and a super cropped length. 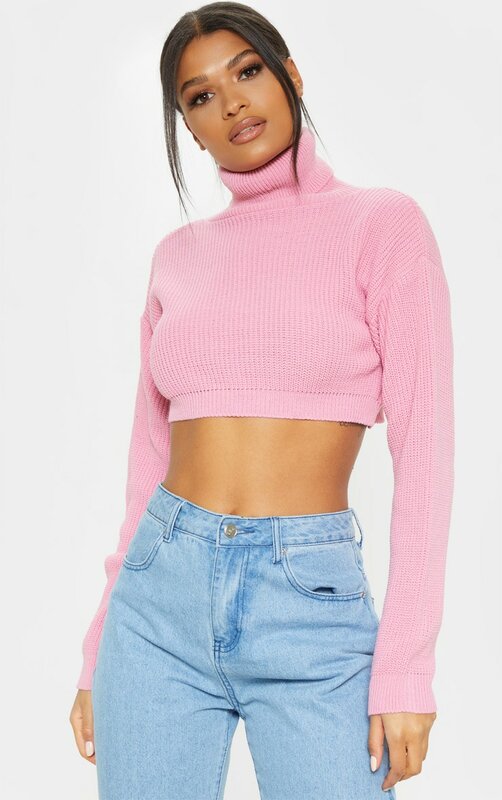 Team this with jeans and strappy heels for a look we are loving.